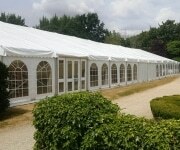 Party Event Marquee hire for a birthday bash, college ball or a garden party tent, we can help. 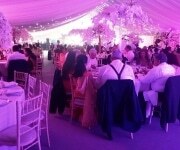 J&L Marquees really have a passion for a good party. 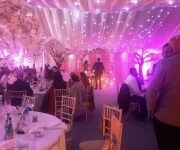 We can design and build a marquee to really give you and your guests the wow factor you require. 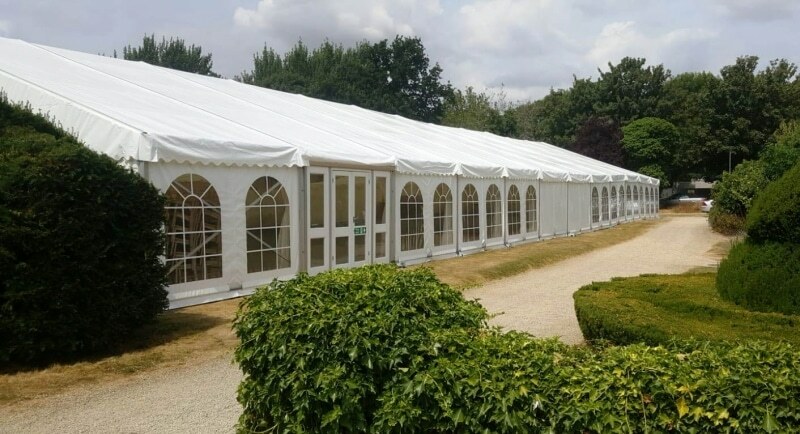 Using our framed style marquees we can fit them into awkward and tight spaces working around your area to really get the best from your ground. The frame also allows ease for hanging and bolting lanterns, lights, flower basket or just about anything you can think of. 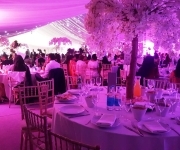 Using a marquee you can choose whatever colour, size, shape, interior or exterior design you require. 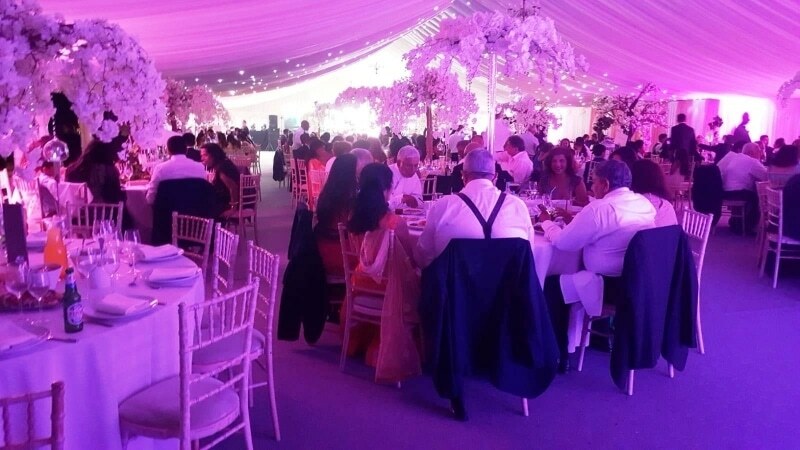 Creating anything from a nightclub to a elegant banquet. Our lighting really sets the tone. 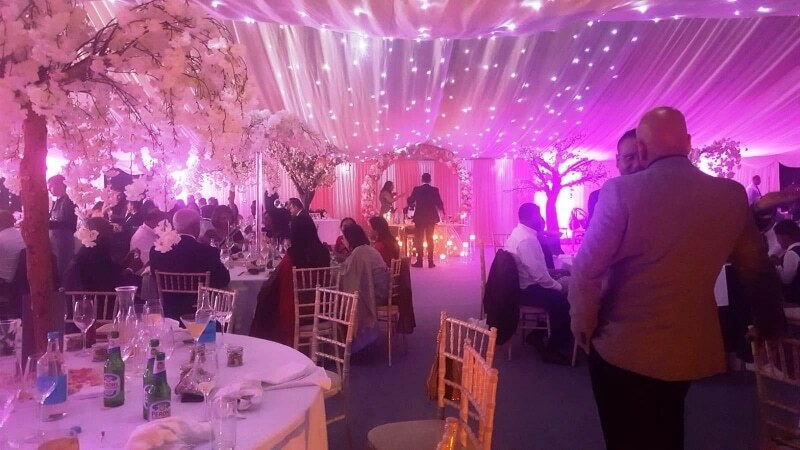 From coloured up lights to the ever popular starlight and all types of effect lighting. 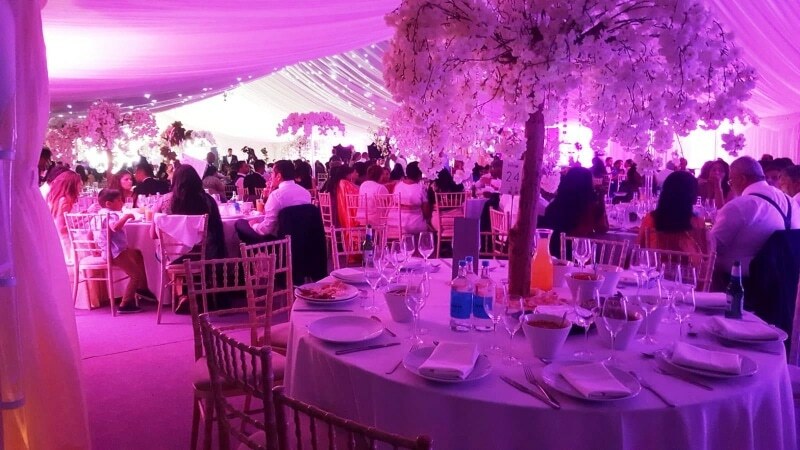 Contact us and talk to Joel to plan your Party. We will talk through all topics needed and ensure you have the correct size and shape to work with your layout and proposed numbers.